Ever since emojis came into our lives, texting has never been the same. There are dozens (maybe hundreds) of adorable, textable caricatures that perfectly convey our emotions. (Feeling petty? Try the upside-down smiley face. Want someone to know you’re dying of laughter? You’ve got the pick of the litter.) 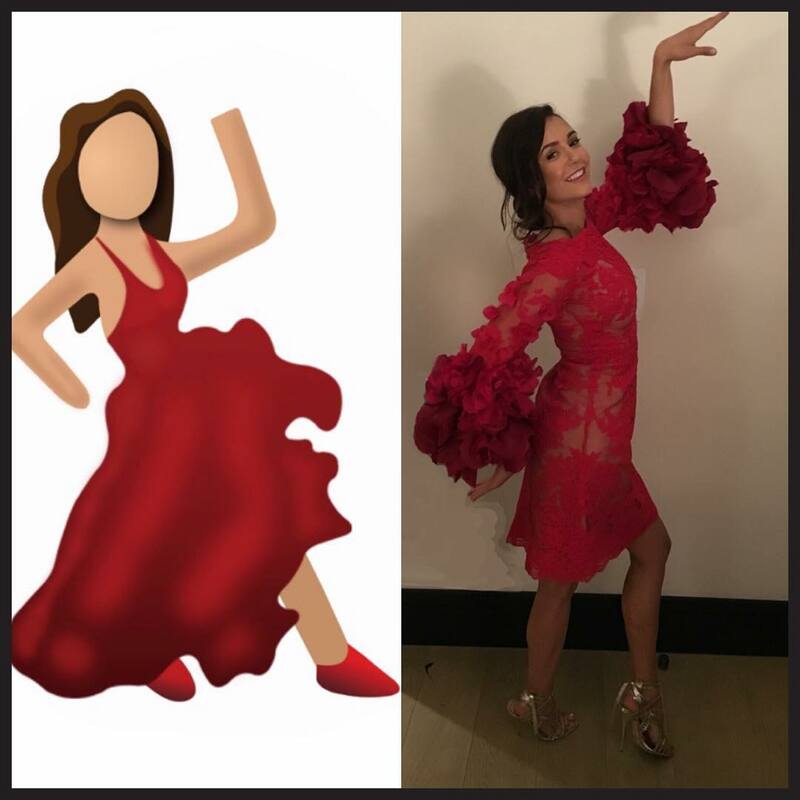 And though everyone has their own emoji interpretations, perhaps the most agreed-upon emoji is the dancing girl — the vibrant woman in the red dress who sums up our excitement more than any combination of smiley faces. Given the emoji’s popularity, it’s no wonder dozens of celebrities are popping up in shifty scarlet-red dresses identical to the letter-size woman on our phone screens. 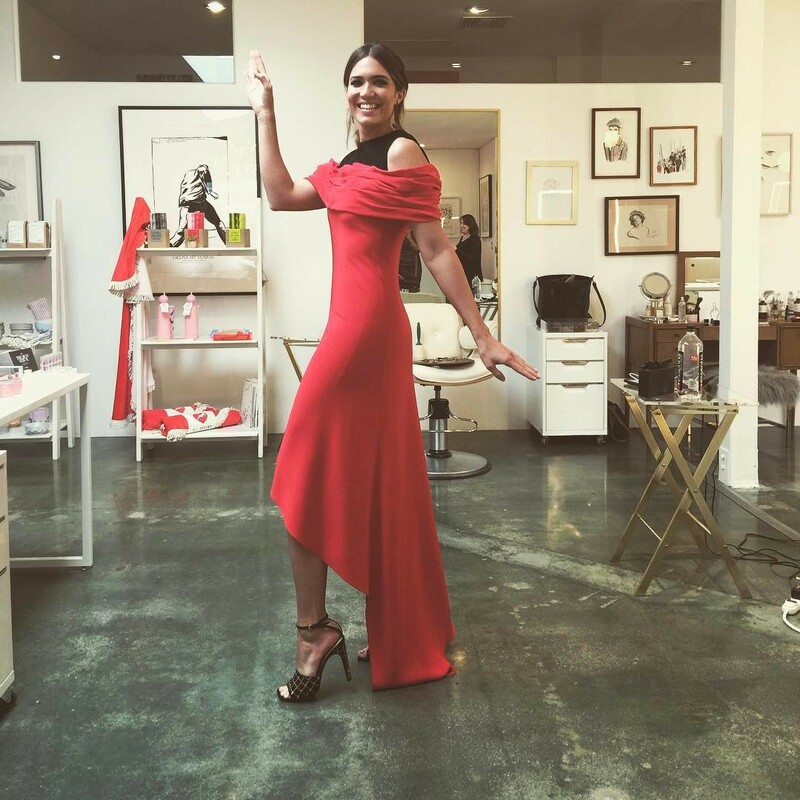 And though not all these celebrity red dresses are exactly like the dancing girl’s, there’s no question the emoji is a fashion icon and is shaking up the style game on the reg. 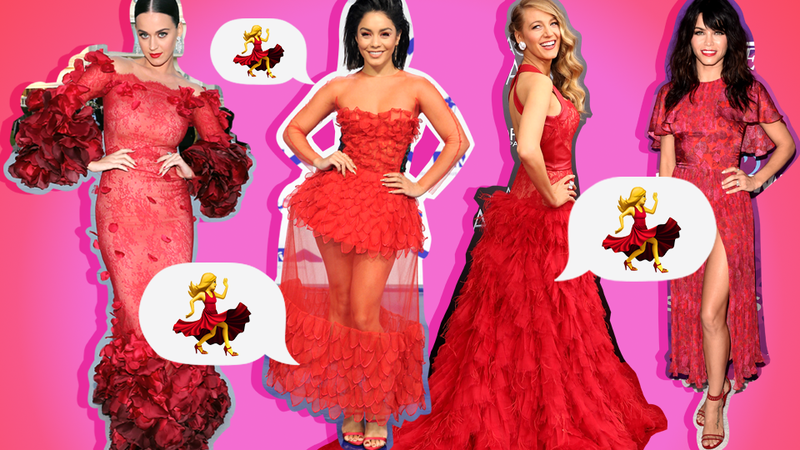 Live out your dancing girl emoji dreams with these 15 celebrity red dresses. At the 72nd Annual Golden Globe Awards in Los Angeles in January 2015. At the Metropolitan Museum of Art’s China: Through The Looking Glass Costume Institute Benefit Gala in New York City in May 2015. At the Metropolitan Museum of Art’s Alexander McQueen: Savage Beauty Costume Institute Gala in New York City in May 2011. At the Valentino Garavani Archives Dinner Party in Versailles, France, in July 2010. At amfAR’s 23rd Cinema Against AIDS Gala in Cap d’Antibes, France, in May 2016. At the 68th Annual Primetime Emmy Awards in Los Angeles in September 2016. At the European premiere of Valerian and the City of a Thousand Planets in London in July 2017. At amfAR’s 22nd Cinema Against AIDS Gala in Cap d’Antibes, France, in May 2015. At the 65th Annual Primetime Emmy Awards held in Los Angeles in September 2013. At the 2017 MTV Video Music Awards in Los Angeles in August 2017. At the Go Red for Women Red Dress Collection 2015 during Mercedes-Benz Fashion Week Fall 2015 in New York City in February 2015. At The Age of Adaline premiere in New York City in April 2015.